First of all, shut down your Lenovo Thinkpad SL400. 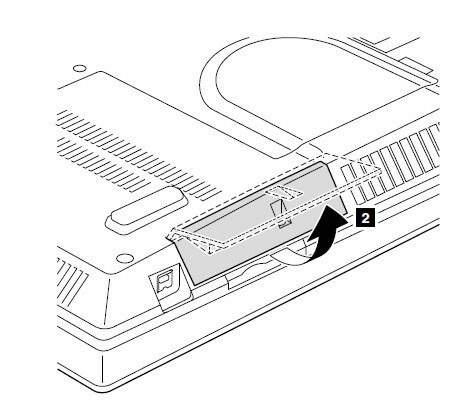 Disconnect the AC adapter and remove the battery. 1. 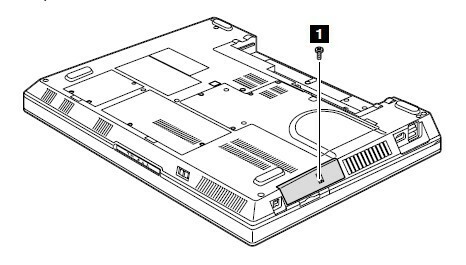 Remove the screw on the hard disk cover. 2. 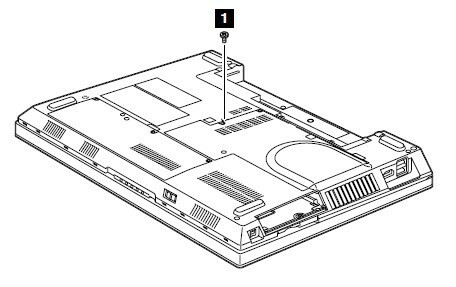 Open the hard disk cover as shown. 3. Drag the hard disk out carefully and remove it. Step 2. Remove the palm rest. 4. 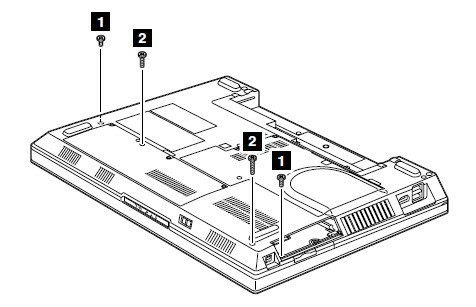 Unscrew four screws on the back of the laptop as shown. 5. Remove the palm rest a little, please be careful there is a cable which is still connectered with the Lenovo Thinkpad SL400. 6. 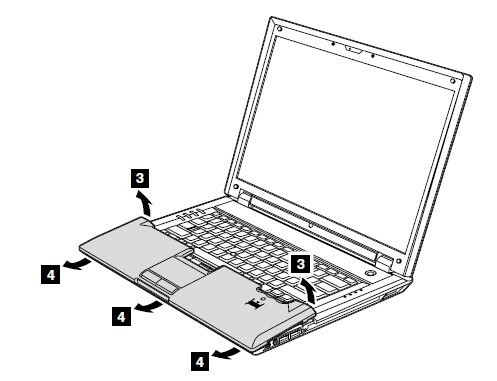 Disconnect the palm rest cable from the computer. In models with the fingerprint reader, the sensor is attached to the palm rest FRU. 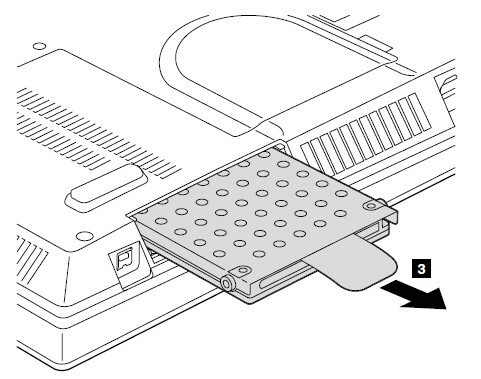 If the fingerprint reader has any defects, you can replace it by the procedures given in this section, which are the same for a palm rest with or without a fingerprint reader. 7. 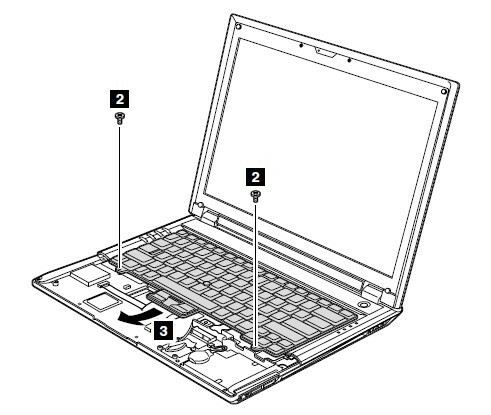 Remove the screw as shown in pic 7, it secures the keyboard. You also can remove it while you remove the screws securing the palm rest. 8. Unscrew two screws securing the keyboard to the base cover. 9. 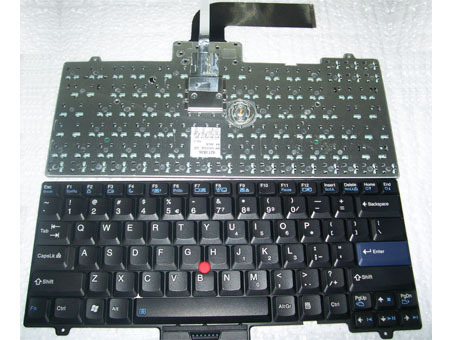 Turn over the Lenovo Thinkpad SL400 keyboard and put it on the position of the palm rest. 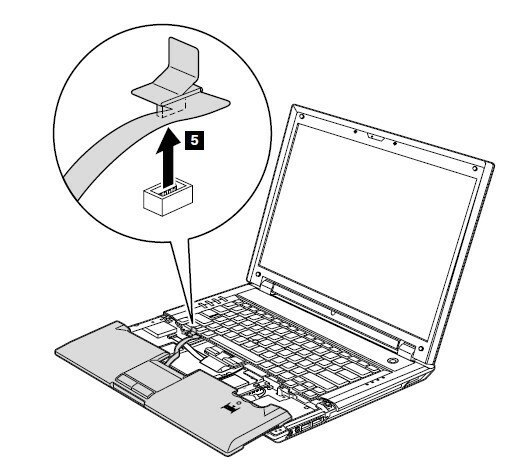 Disconnect the both cables from the computer. Now, you can remove the keyboard. 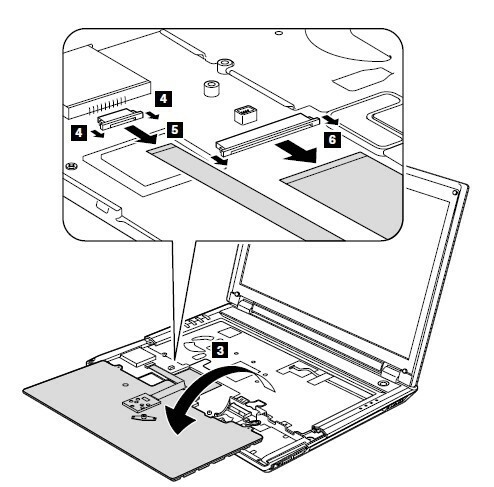 Reverse the procedure to install your new Lenovo Thinkpad SL400 keyboard.